This DVD edition includes a Qantas Link livery straight out of the box. Perfect for the Aussie aviation enthusiast! You can now enjoy the Dash 8 with the convenience of a boxed disk copy. Although the package still requires online activiation upon installation, your boxed, limited edition disk copy can be easily re-installed later on down the track if required, and negates the need to download and unpackage files from the internet. 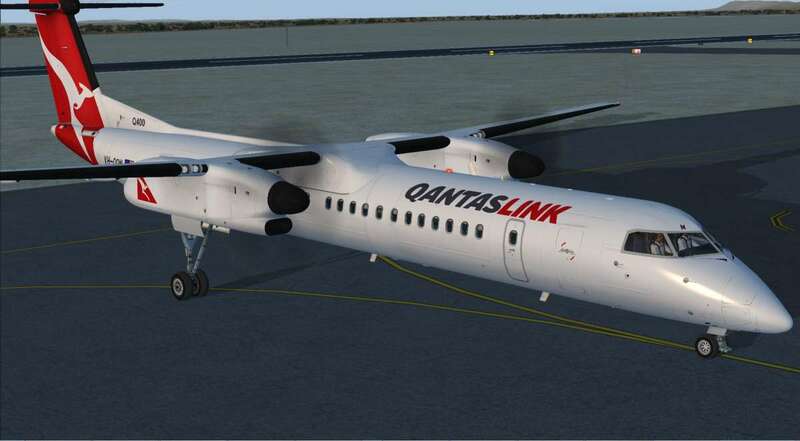 This superlative rendition of the Dash 8 Q400 comes with a host of truly innovative features and is the first aircraft to feature a Flight Dynamics engine which is completely independent of the FSX FDE! 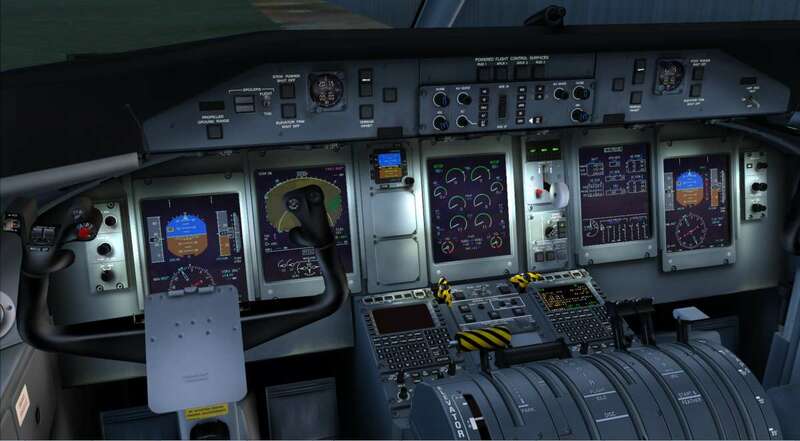 This ground-breaking simulation features a flight dynamics engine that operates independently from FSX, providing you with incredibly realistic performance and behaviour, as well as accurate icing effects. 19 high-resolution airline liveries are included, representing operators from every corner of the globe. Customisable automated cabin announcements and an independently operating 3D sound system make this the most immersive airliner to date! 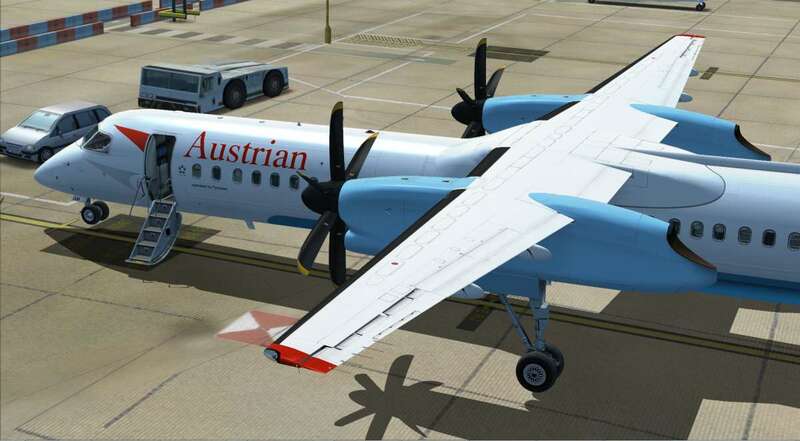 The Majestic Software Dash 8 is currently the only aircraft available which includes a built-in Flight Dynamics Engine which is completely independent from the default FSX FDE. 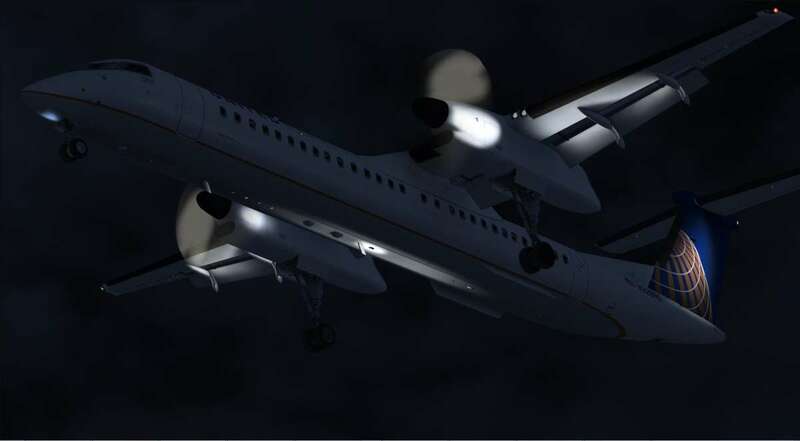 This results in much more realistic aerodynamics behaviour of the aircraft, in particular the realistic wind simulation, enhanced propeller physics including propeller ‘discing’ and auto rotation, the effects of the propeller airstream on the wing lift and the icing effects on the propeller, wings and the flight surfaces. The Weather Radar is capable of interpolating the weather returns based on the actual FSX weather using the FSX Weather Stations reports. The Weather Radar can work with both the FSX Real Weather and the Weather Environment add-ons capable of setting the per-station weather. The beam geometry is also simulated in order to depict the weather based on the aircraft altitude, antenna tilt and the altitude of the weather itself. There is ground clutter and weather shadow effects, and also a ground mapping mode simulation, capable of showing the surrounding terrain. 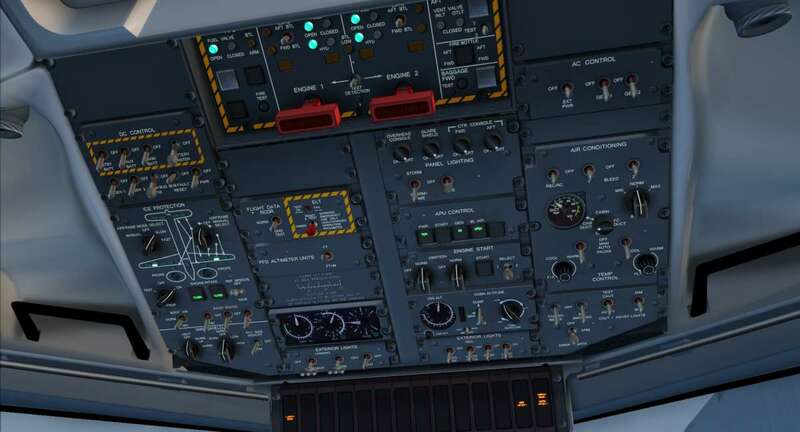 The weather clutter in the ground mode is also simulated. Documentation includes a systems tutorial, sample flight guide, Control Panel application tutorial, checklists and performance tables. The FMS FPL winds functionality is currently in development, and will be provided in the version 1.1 update. It will allow the FMS to account for the en-route winds, thus increasing the fuel and time prediction accuracy. Important: An internet connection is required for installation and activation of this product. PRE-ORDER Now to reserve and secure your copy from the first shipment to hit Australian shores!